Today we have Spider-Man being a jerk (have at least some token pity for the man who buys your photos!) and Maria Lopez and Dara Dorset becoming "friends". We also have something that caught me pretty much completely off-guard: the return of Mary Jane! No doubt she'll get in there to have a marital spat with Spider-Man, only to have Dara say, "Yeah, I lied about that". Of course, then Jonah and Maria will wonder why Mary Jane cares so much if Spider-Man is married. Either they'll put two and two together (unlikely) or it'll just become more grist for the gossip mill. TIL: How Mary Jane is drawn in the third panel. I like how Maria Lopez is shamefully exploiting someone who just went through a terrible ordeal. Sure, Dara Dorset is going to reap most of the rewards, but it's still pretty crummy of Maria. TIL: Spider-Man in panel three. In my head, I hear a trumpet doing that three-note thing, followed by a circle closing in over his face accompanied by the "Looney Tunes" theme. Ah, "Edison Lee" mentioned Spider-Man again. I find this one fairly painless, but I still hate "Edison Lee" as a whole. The person Dara should be apologizing to most is our buddy Weasel. She screwed up his life the most, and nearly got him killed. Compared to that, claiming to be Spider-Man's wife is a minor nuisance. Luckily, though, all this will allow Mary Jane to sleep peacefully at night as long as Loretta the Slave-Woman doesn't do anything to upset her. TIL: Spider-Man in panel two. He has no idea what to do from here. This is fair, and considering how Jonah has the newspaper rights to the story, should make them both fairly happy. I know Jonah will get all angry, but that's what he gets for dealing with Maria Lopez. Also, I'm wondering if the Bugles (Jonah's newspapers) have a web-site. Such a thing would no doubt be a boon to them, and perhaps a new money-maker for Jonah. I hope the next storyline has either the Sandman or Mysterio in it. Both would make sense, seeing as how it's a movie shoot and it's in the desert. TIL: Jonah's look of triumph in panel one. There used to be a time when newspapers carried pages of comic strips, and on Sundays, all of them had three rows of panels to entertain the world with. Sadly, the realm of the comic strip has mainly fallen into less pages and less room on those pages. Most of the time this is two rows of panels, but I've seen them cut down to one row. I have also seen them still in their three row form, but that's pretty rare. In any case, despite the limited space available, artists still usually do three rows of comics (as a peek at any online comic strip place will show you) and, most of the time, the top row of panels feature a little throw-away joke or needless exposition and the title of the strip. "The Amazing Spider-Man" is no different, and I'm here to show you the cycle of throw-away panels the strip uses. These are arranged in a purely arbitrary order. The Origin - Part One One of the most important aspects of Spider-Man are his spider-powers. How did he get them, though? This pair of throwaway panels tells us, while at the same time letting us know that not everyone thinks the Amazing Spider-Man is an okay guy. If the first two throwaway panels tell us the how of Spider-Man's super-heroics, these two tell us the why. It can only be assumed that the fact that Spider-Man's uncle is referred to as "Gentle Ben" is a joke on the part of the originators of these panels. Another facet of Spider-Man's character is that running off to be a hero can royally screw him over at times, as shown above. As the second "Spider-Man" film illustrates, the super-heroics cuts into his civilian life and gives him an air of unreliability. It can also safely be assumed from these panels that the throw-away panels have not been changed since the strip started in 1977. The spider-powers mentioned above are summarized here, entirely leaving out the spider-sense and proportionate agility of a spider. No one knows why, exactly, Spider-Man is lifting a city bus off the ground. Chances are, it's just a visual representation of how strong he is. Other options are that the bus needs a tire changed, someone is stuck under the bus, the bus has some evil agenda which Spider-Man is putting a stop to by lifting it, or he is just having a good time. If the last one is true, then it is no wonder people think he's a menace. I have no idea what having spider-powers has to do with making web-shooters. These two panels treat the latter as if it were the foregone conclusion of the former, but it's really not. They do represent Peter Parker's innate scientific wizardry, however, and that's pretty nice. My personal favorite shows us Spider-Man's supporting cast and rogues' gallery. It's great fun going through and seeing how many of them you know. Oddly enough, Peter Parker is shown in the "friends" panel. You'd think they would go with the split-mask for that. Coincidentally, the only person I'm unsure about is the person behind Robbie Robertson. Is that his wife, his son, or another character all together? I'm guessing it's his son? There you have it, folks. Which one is your favorite? Weigh in in the comments because, seriously, that's what they're for. Well, the villains are getting put in the slammer while the heroes are all pretty much just getting on with their lives. I would expect Weasel to get some time knocked off of his sentence since he'll no doubt turn some evidence to keep Kordok in jail. In any case, this is probably the last we'll see of the mighty Weasel and Kurt Kordok (who is not the Kingpin), unless they show up tomorrow in the recap strip. As for Dara Dorset, she just looks so sad and traumatized by this whole experience that I feel kind of sorry for her. Spider-Man and Dara Dorset obviously feel the same way, since they're basically acting like concerned adults. Jonah, on the other hand, is filled with an ungodly rage because he lost his scoop. Perhaps this will lead to a Jameson-financed spider-foe. Unfortunately, we can rule out the Scorpion because, as far as I can tell, he's dead in this strip. Poor guy drowned years ago. 05/25/2007: Kurt Kordok, in addition to being a criminal mastermind, is a master of the obvious. Also, this is probably thinking extra-logically, but Kordok tried to off Weasel and was obviously unsuccessful. So, in essence, wouldn't the "payback" in question have to be equally unsuccessful to be true payback? Just wondering. TIL: Spider-Man finally doing something. 05/26/2007: How is this going to be the scoop of the century? A former flunky shot his boss. In a world where men swing from webs and use metallic tentacles to commit crimes, aren't there greater scoops to be had? Heck, Sub-Mariner has been in this strip before and he's the king of Atlantis. That alone scoops this! Granted, Spider-Man is there, but he hardly did a thing. TIL: Jameson's face in panel two. Because one person agreed that tags would be nifty, tags is what I am spending my day putting onto posts. I figure doing it by reoccurring character would be the most efficient way to do this, with extra tags for Metaposts and Sunday Strips. Sunday Strips are special, you see! Also, the labels only appear on posts where the character actually appears in the plot of the strip itself. This means that Aunt May won't get a label when she shows up in that one panel on Sunday where she looks all worried, but will get a label if Peter thinks about her. Not to mention that only visual appearances will be accepted. If we just see a word balloon, no label. The only character exempt from this rule is the Land Captain, because he's the greatest. I am so glad they're not dragging out this little "mystery" for a week. Such a thing would be an insult to pretty much everybody. I can't tell if Weasel looks grim or pleased about his actions, however, though I'm sure he's happy with himself. I wonder what Spider-Man will do to him, seeing as how Weasel basically just saved the day. TIL: The fact that I was right about Weasel. All right, I've got a question for all you lovely people out there: should I put tags on the posts? I realize this is entirely up to me, but I would appreciate your opinion. Would it make things easier for you, the reader? Would you appreciate me adding tags? I'm leaning towards adding them, myself. After an eighteen-day stand-off, something happens! The question remains: who shot Kurt Kordok? Allow me to be lazy today, and answer that question: TIL: The fact that this vindicates yesterday's post. I know I really should be worried about Spider-Man right now. I mean, that's what the writer is aiming for here: giving us a cliffhanger where someone has been shot! However, the fact that Kordok's gun clicked and then supposedly went off is making it sort of hard for me to believe that he actually shot someone. I'm pretty sure guns don't do that. Perhaps Weasel is free of his webbing, sneaked into the stadium, and shot Kordok in the back. Unless, of course, guns do click before going off in which case I guess maybe Spider-Man's been shot? Heck, they wouldn't end the strip with another blockbuster movie still in theaters. TIL: All the cops sitting around waiting in the third panel, and the one who shouts "Gunfire!" especially. He's keen. Come on, Kordok. Spider-Man can just jump around or something. You'll never beat him, no matter how many hostages you take. As for Jonah Jameson, well, he sometimes gets like that when it looks like the wall-crawler is going down. Basically, whenever Jonah isn't the one who paid for the person putting him down, or is vouching public support for the person putting Spider-Man down. I think there's a theory going around that Jonah merely harps on Spider-Man so that the hero will keep doing his best, and Spider-Man sort of looks to Jonah as a surrogate father-figure whom he can never please. Oh, and Spider-Man? You should have said "You shouldn't have come back, Dara". After all, she was kidnapped and forced to come to the stadium. TIL: Jonah's facial expression in panel three. You know, the only panel he's in today. At least this explains why Dara Dorset was hiding in the boxes. We all know Spider-Man's not going to die any time soon, so I'm guessing the shots in question will either hit Maria Lopez, Dara Dorset, or nobody. Also, I was excited when I read the word "kingdom" last panel... I thought it was going to say the "Kingpin". That's kind of sad. TIL: The purple aura around Spider-Man's head. Is Doctor Strange here to help? Kurt Kordok can collect countless captives currently. Or, he could just shoot Spider-Man while he's talking and end this whole thing now. Seriously, just web up the gun, knock him out, and everything will be okay. There's no need to drag this out for another week. TIL: The ghostly cameraman in panel one. "Who was that hostage I saw you with last night?" "That was no hostage, that was my wife!" That's all that's been running through my head since I read this. Maria Lopez and Jonah are probably just going to distract Kordok long enough for Spider-Man to whisk Dara Dorset to safety, followed by a solid left hook to Kordok's chin. This will knock the crime lord out and pretty much end the Kordok thing. I hope. Then we can go on to the next storyline! My hope: Peter travels to the desert to be with Mary Jane (despite her only being there for a supposed week), only to find that filming has been stopped due to freak sandstorms. Peter dons his costume to investigate (Spider-Man in the desert. Fun.) and discovers the Sandman (I don't know if he's been in this strip before) causing trouble. What'll Really Happen: Spider-Man tangles with some other nameless slob we don't care about and gripes about missing Mary Jane. Also, marital trouble stemming from the whole Dara Dorset thing, maybe. Wait a sec, aren't there police all around the stadium? How did Maria and Jonah get in? TIL: Jonah Jameson in panel three. Today's my birthday. My birthday wish is that my web-comic eventually gets as many unique hits daily as this Blog. 05/16/2007: Yeah, I remember the last time Spider-Man let some crooks get away. What happened then? What? The crook broke into Spider-Man's house and shot his Uncle Ben, driving Spider-Man into a life of altruism citing that the experience had taught him that with great power comes great responsibility? I mean, it's not like Spider-Man knew the cops were there or anything, and it's not like Kordok is going anywhere. TIL: Lug in panel two. He looks so surprised. 05/17/2007: How did Dara Dorset get there? The last we saw, she was running out of the stadium, not into a bunch of boxes. Also, Spider-Man could still web-jam Kordok's popgun and make it to Dara Dorset in time. He does have the proportionate agility of a spider, after all. Wait, how did Kordok know Dara was there in the first place? I hope this all ends soon, because it's making my head hurt. TIL: Dara Dorset has been stricken with terminal surprise. So I guess the strip started in 1977, making this its 30th year. Also, Stan Lee has been writing it for all of those years, it would seem. As for the artists, I'm quite surprised that I recognize a good portion of those names, and quite unsurprised that the Sunday and Daily strips have different artists. I can't think what the "p" designation is for, though. So far we've seen five guys in Kurt Kordok's employ. Weasel, Lug, Angel, and two unnamed thugs. Weasel is easily the most competent of the trio, evidenced by the fact that he has his own wardrobe and quite neatly fits the "Sniveling Assistant" mold. While the only job we've seen him do is kidnap Dara Dorset, he did complete his task. Yes, Dara Dorset got bruised, but at least she arrived at Kordok's hideout intact. Yes, Weasel has betrayed his former master, but at least he's still alive. Lug and Angel, on the other hand, fit the incompetent henchman mold. They dress in identical suits and have botched every job they've had. We've seen them fail to hit Jonah Jameson with a videotape, fail to make sure Weasel has slept with the fishes, and just generally screw up this whole thing with Spider-Man. The only remarkable thing about them is that Angel's hair color has changed from gray to light brown. The other two thugs were just common criminals, but were scared enough of Kordok to ensure their silence. As for today's strip, it just further reinforces that Lug and Angel are the worst thugs ever. I hope Weasel is waiting for them with a crowbar and a snide grimace. TIL: Lug and Angel finishing each other's sentences, as shown in panel three. Isn't that just so cute? Yep, he just pulled the "proportionate strength of a spider" card. Also, while Spider-Man's comment is rather witty (if nonsensical) I doubt they have reading material about super-heroes in prisons. Imagine if you will a world where the prisons are stocked with editions of the "Official Handbook of the Marvel Universe" and "Who's Who in the DC Universe". Also imagine that this proverbial world is filled with those very same people who are featured in those books. Now imagine the riots that would break out due to the prisoners having to read books about those who put them away, and the increase in costumed crusader casualties because the prisoners found out their weaknesses and whatnot. It'd be crazy, is what it'd be. Also, I know this is not what they're talking about, but I couldn't resist posing the hypothetical. TIL: Kordok's retort in the third panel. The man can't beat Spider-Man verbally or physically, it seems. 05/11/2007: How exactly does HQ know Kordok has a hostage? They don't really know for sure, they're just guessing. They should send at least one guy in to make sure it's true, then they should rest on their laurels. TIL: The thug looks like a classic hunchbacked lab-assistant. 05/12/2007: Okay, so let me get this straight: Spider-Man puts Kordok in prison for five years, and so Kordok is going to blow his brains out. This is fair? A better line for that panel would have been: WITH INTEREST! Cliched, yes, but effective nonetheless. It doesn't matter in any case, because Spider-Man is just going to... well, just keep reading. Also, Spider-Man's red-eye in panel two is sort of creepy. TIL: The fact that I doubt Kordok's facial expression has really changed at all since we first met him. He always has that toothy grimace thing going. Was it the result of an experiment gone horribly wrong that gave him enhanced strength but removed the ability to control his mouth muscles? I seriously hope so, but doubt we'll ever find out. 05/13/2007: Well, look at that. Spider-Man busted out of the chains. I'm sure no one saw that coming. Also, who's to say that Kordok would recognize Peter Parker? The man may have some sort of name-recognition from his marriage and photojournalism career, but I doubt anyone but the most die-hard stalker would know what he looked like. TIL: Vindication in the last panel there. Also, that is one verbose NEXT box. I know where this is going. Kordok is going to put Spider-Man into an elaborate death-trap and gloat about how great all this is. Then, Spider-Man is going to quip and call Kordok "mad" and whatnot. There'll be something about the chains, then Spider-Man will start busting out of them and Kordok will be dumb-founded, and say, "No one can do that!" Spidey will reply, "No one... except someone with the proportionate strength of a spider!" and bust out of them. 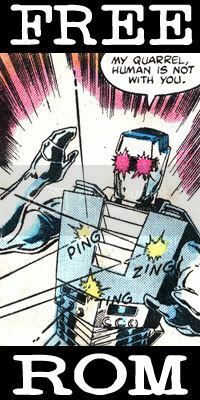 Then he'll deal Kordok a finishing blow and web him up. Meanwhile, Dara Dorset will meet up with the news hounds and be in hysterics. If all this doesn't happen, I will be quite surprised. TIL: In the second panel, it looks like Gulliver and the Lilliputians. That made me smile. I think this strip is the saddest thing I have ever seen, unless this is all a plan by Spider-Man or something. One can only guess what Kordok wants with Dorset now (my guess: unrequited love) or why Spider-Man didn't dodge Kordok's punch (luring him into a false sense of security, perhaps), but this had better lead to one heck of a pay-off. Yet I already know that this will end up being disappointing. Also, Kordok's first-grade-level quip makes me groan. TIL: There is nothing I like about today's strip. It's that sad. What's a deal? I know the "deal" probably involves the two rivals working in tandem to net this Spider-Man/Kordok story, but without us being explicable told so, we could pretty much imagine the deal in question is anything we want it to be. For example, it could be a deal to meet at the local IHOP every Tuesday to get Belgian Waffles or something. It could also be something infinitely more disgusting or sinister. In any case, the silent penultimate panel is quite disturbing since this is basically a soap opera strip and soap opera strips usually spend every single panel they have spouting exposition and melodrama. I do believe that this is one of the signs of the Apocalypse. TIL: Jonah is pretty happy in panel three, so I guess that's nifty. UPDATE: The "Brilliant Mind of Edison Lee" mentioned our buddy Spider-Man, as well as one of his creators today: I think this is my least favorite comic strip ever, to be honest. If not my least favorite, then it's in the bottom five. The other ones all have a political agenda, except for my least favorite which is just so all-around terrible that I refuse to read it at all. I hope none of them ever reference Spider-Man at all. 05/05/2007: Kurt Kordok is being very obstinant about Dara Dorset's supposed marriage to Spider-Man. It's almost as if the man has a mental block that prevents him from not believing it. Anyway, it looks as if there will be no more fisticuffs between the web-slinger and Kordok. More's the pity. TIL: The motion lines around Spider-Man's hand in the first panel. 05/06/2007: Why, exactly, did Spider-Man climb up there? Also: when? In fact, everyone is in the entirely wrong place! Either they suddenly stopped their conversation and just randomly moved around, or someone isn't paying attention to things like this. Also, this strip proves that Kordok is just apathetic about Dara Dorset's marital status. Meanwhile, Jonah Jameson is dashing through town and is set upon by the malevolent Maria Lopez! Next week is going to be exciting, sure enough. TIL: The bottom middle panel. It's not often we get a frontal action shot of Jonah. 05/07/2007: It's time like these when you realize recap strips are perhaps the greatest plight to menace the comic strip page since incontinent parakeets. As we saw yesterday, Spider-Man has already offered himself in place of Dara Dorset. The first panel makes it seem as if the pair has short-term memory loss or became distracted by something and had to have the exhange again. Then we have Jonah Jameson's escapades with Maria Lopez, which will no doubt prove to be riveting. Almost as riveting as Jonah struggling with a lenscap, hopefully. TIL: Maria Lopez's rhyme in panel three. Hooray for you, Spider-Man! It appears that the fight is going to be pretty one-sided. While Kurt Kordok has the strength of about maybe five guys, he also has the rage of someone who has spent the last couple of years fantasizing about his encounter with Spider-Man, and thinking that the hero thought of him as well, only to be proven wrong and mocked. The rage will up Kordok's strength and reaction time just a bit, but he'll still be no match for the guy with the proportionate speed and strength of a spider. Spider-Man, for his part, seems to be enjoying himself and is basically toying with Kordok. While this is pretty classic Spider-Man behavior, I still feel kind of bad for Kurt. TIL: Spider-Man's surprise that his spider-sense is back. He just seems so awe-struck by it. Also, "Spider-Man 3" opens in theaters across the United States today. Here's the comic I did in honor of it. I'm going to plug this thing until Monday, at least. Aw, Kurt Kordok is just doing this because he wants Spidey to remember him! That is just so gosh-darned cute that I can't stand it. Spider-Man, however, does not remember him. Kordok's just another hood to the web-slinger. Kordok does seem to have some sort of weird power that allows him to transfer poles to right in front of him so he can punch them in half, though. That could potentially make things interesting. Not as interesting as if he turned out to be the Kingpin, but I think that's a boat that won't float. Indeed, it's probably at the bottom of the Bay along with Weasel's happy-go-lucky attitude. TIL: The fact that Kordok basically did this whole thing to get some validation. ALSO: In honor of tomorrow's "Spider-Man 3" opening, I did a comic (you did know I have a webcomic, didn't you?) in honor of it. You can find it here. Considering how Spider-Man and Kurt Kordok are about to throw down, it's safe to assume that the next few weeks will consist of scene changes from the battle, to Jonah trying to get to the stadium, to Mary Jane freaking out. If the fight even lasts that long: they may go with Spider-Man decking Kordok tomorrow or something. -Spider-Man's flippancy. Who doesn't like a flippant Spider-Man? Other than his enemies, that is. Spider-Man's inabilty to remember who Kurt Kordok may mean that Kordok is, in fact, someone in disguise. However, if this is the case, then Kordok just wasted the moment in which this could be revealed dramatically. Therefore, this is probably not the case. It could also mean that Kordok was quite small time in New York, and is just a big ol' paranoid. Of course, it could also just be Spider-Man being flippant. Meanwhile (or while, if you follow the narration box), Jonah Jameson has just broken through the two-police barricade and is dashing towards the stadium. I'm sort of more interested in Jonah's misadventures at this point and time than Spider-Man's confrontation with Kurt Kordok. This is quite sad. -Jonah in panel three. He's going to get his Spider-Man scoop, dagnabbit!